The attraction of White Star’s Magnetic lingers to this day. Magnetic, a tender built for use at White Star’s Liverpool terminal, was launched at Belfast’s Harland & Wolff on 28 March 1891. The 619 GRT vessel was 170.5 feet long and 33 feet at beam. 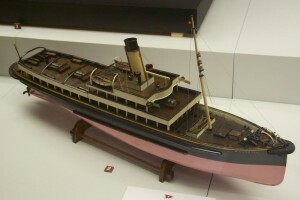 A model of Magnetic can be seen at Liverpool’s Merseyside Maritime Museum. Magnetic served White Star by shuttling passengers to and from shoreside facilities and various liners. In 1907, White Star’s main terminal was shifted from Liverpool to Southampton, a move that significantly reduced Magnetic’s passenger load. Magnetic continued her Liverpool tender service until shortly before White Star’s merger with Cunard Line in December 1933. After serving as an excursion ship for a couple of years, the “attractive” little vessel was sold to ship breakers in Glasgow on 20 October 1935. Twenty years after Magnetic’s arrival, another White Star tender—Nomadic—was launched. The new vessel was designed to serve the company’s massive new Olympic-class liners in Southampton. 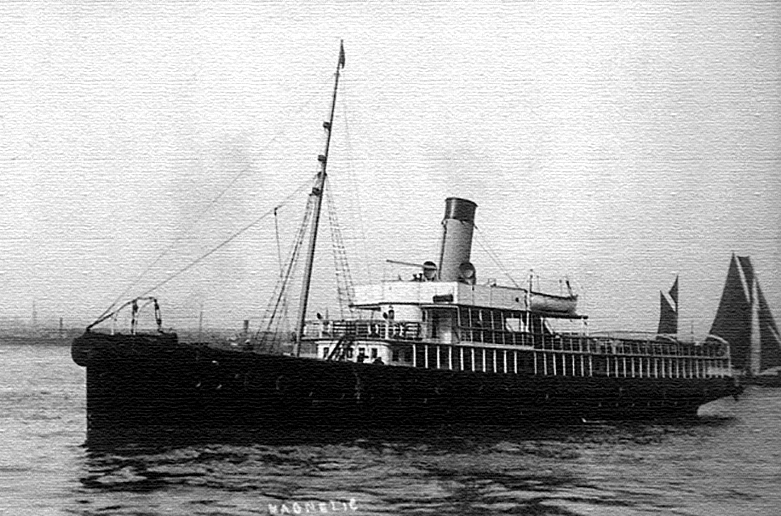 Unlike Magnetic, Nomadic was saved from the breakers and restored. Now a museum ship, Nomadic—the last remaining White Star Line vessel—can be visited in Belfast.